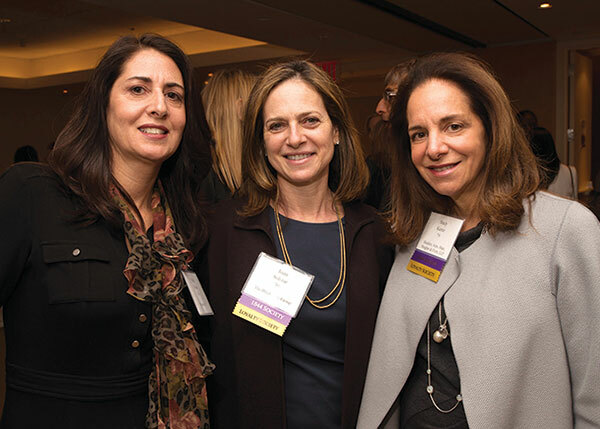 More than 200 UAlbany alumni gathered at the Hearst Tower in New York City March 6 for an exceptional evening spent rekindling old friendships and creating new ones. 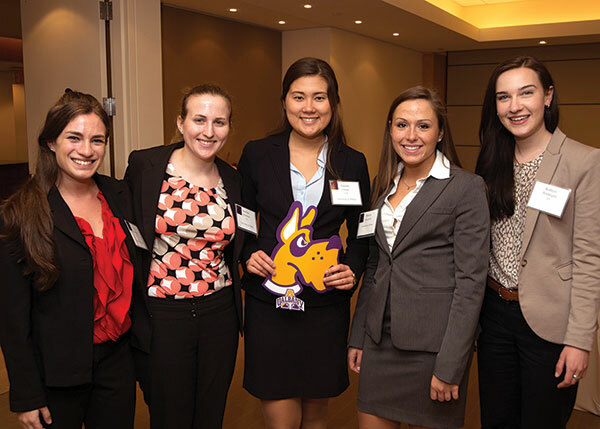 Hosted by University at Albany Foundation President George R. Hearst III, the reception was the kickoff event for UAlbany Connects Metro NY, a program aimed at giving New York City-area alumni greater opportunities to connect, network and socialize. 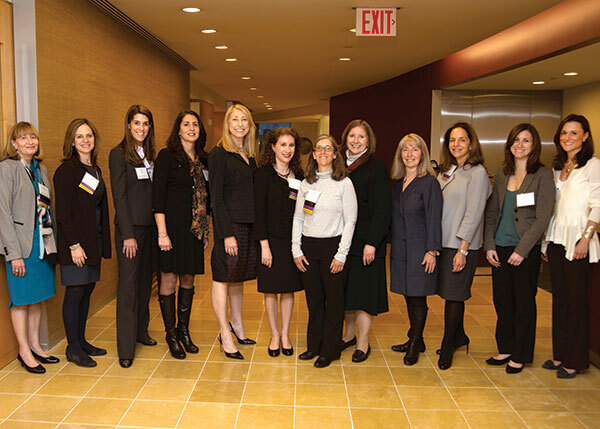 Pictured are some of the attendees. 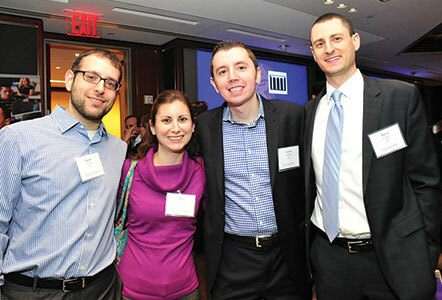 Loyalty Society members Jeff Hurwitz ’82 and Terry Hurwitz smile for the camera. 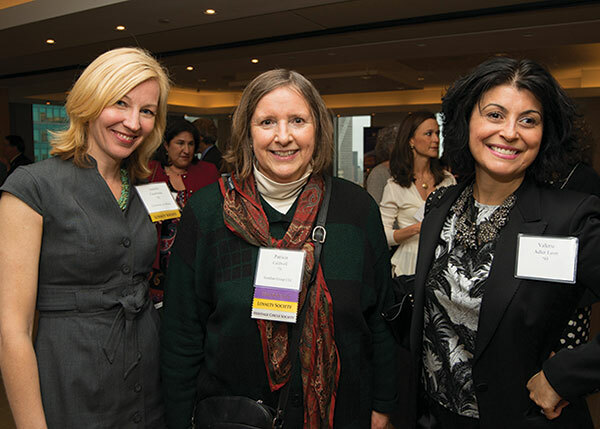 At a June 12 reception honoring members of UAlbany’s giving societies (the 1844 Society, the Loyalty Society and the Heritage Circle Society), donors got an exclusive sneak peek at the newly renovated fountain. Guests enjoyed cocktails and hors d’oeuvres “poolside” after hearing from University President Robert J. Jones about the project and its impact on the campus. Jones also honored Loyalty Society and 1844 Society members Charles Gibbs ’73 and Rene Gibbs ’75 for their 29+ years of consecutive giving. 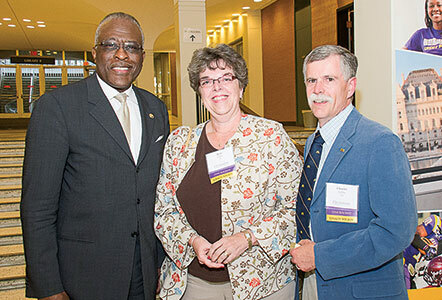 Charles Gibbs ’73 and Rene Gibbs ’75 pose with University President Robert J. Jones. 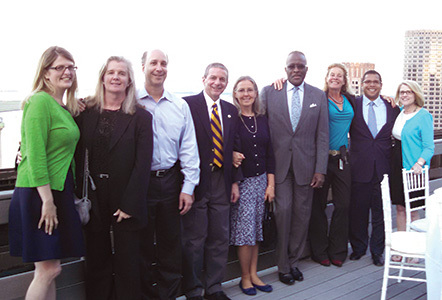 Kimberly A. Welsh ’89, managing director at Janney Montgomery Scott LLC, hosted a June 16 gathering for fellow UAlbany supporters on her office rooftop, which overlooks Boston Harbor. 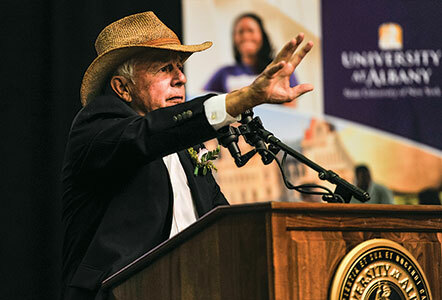 President Robert J. Jones joined guests to share his vision for UAlbany and invite them to help articulate that vision. Shown, left to right, are Michelle Mahon ’09 of the University Development staff; Janis Weilheimer ’84; Michael Weilheimer ’83; James Ioli ’73; Deb Ioli ’74; President Robert J. Jones; host Kimberly Welsh ’89; Peter Pedro ’90; and Development staffer Mary Johnson. 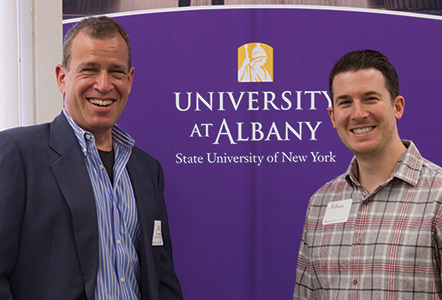 At the third annual Bunshaft Lecture April 17, Adam Denenberg ’98 spoke about his journey from UAlbany, where he studied computer science and physics, to his current position as vice president of Engineering at The Huffington Post. In Find Your Success Story: What I Wish I Knew When I Graduated, Denenberg shared some of the secrets he learned along the way to becoming a successful engineering leader. Here, Albert Bunshaft ’80, left, poses with Denenberg. 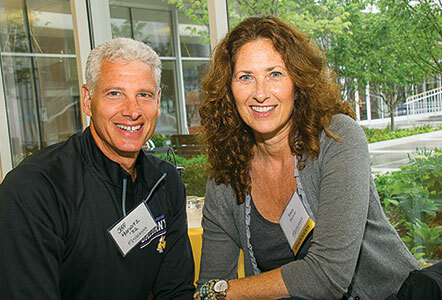 Bunshaft and his wife, Caryn Bunshaft ’82, established The Bunshaft Endowment in the College of Computing and Information to support the lecture.